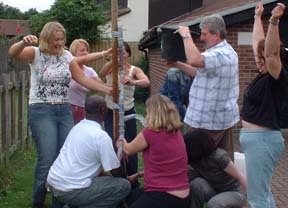 Teams compete against each other for fun at a “Team Away Day” or to develop teamwork. 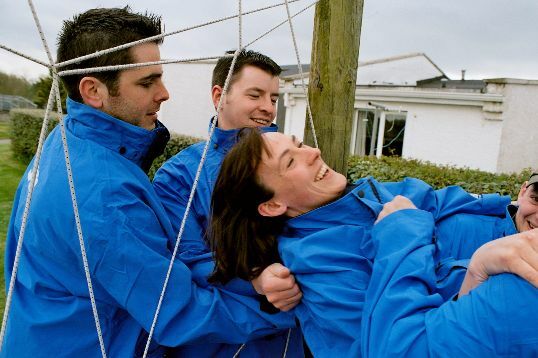 This is a fun way to develop team building through an activity involving creativity, time management, communication and effective teamwork. 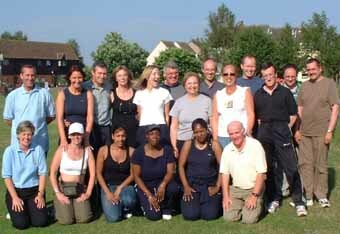 The emphasis of our team building is on success through planning, team co-operation, communication and negotiation. 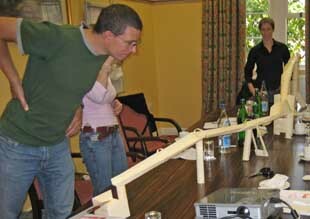 The most successful teams consider ALL the options, before selecting the most effective method to succeed in the activity. 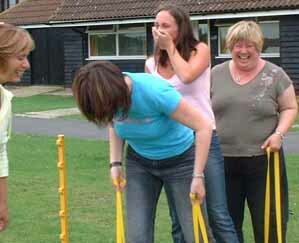 They soon learn that working smarter is better than working harder! 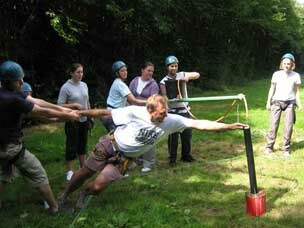 Each activity is enjoyable and adventurous for all members of the team, no matter what their level of fitness or ability. 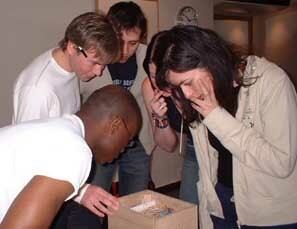 Each team activity is challenging but also fun! 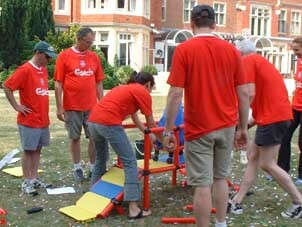 We can also debrief teams to enable them to improve their efficiency for the next activity. 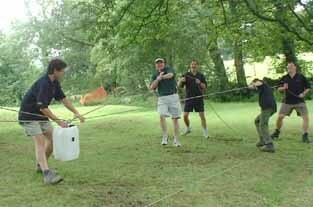 A cost-effective and fun team building event with most games available for indoor or outdoor use, makes this one of our most popular team events. 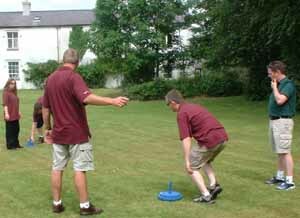 These pictures are some of the wide range of team activities for you to choose from.